“Hi! Welcome to my practice. I am happy that you are here. The secret to good health is creating the healthiest child all the time; therefore, when your child does get an infection, he may recover quickly before another infection takes over. 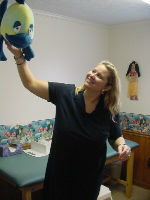 Please take a moment and read about my concepts for treating your child. I have been blessed my entire life with a wonderful and supportive network of family and friends. I was born in Dublin, Georgia, and raised on a quarter horse farm. I attended Dublin High School, and attained my B.S. from Presbyterian College in Clinton, SC. I graduated from Medical College of Georgia in Augusta, GA, and completed my Pediatric residency in Augusta. I married my husband in March of 1997. I opened my own practice June 6, 2000. We have a very competent and professional office staff. Our nurses handle all patient communications and provide skilled nursing in our office as well as answering your questions and making arrangements for tests and procedures. The administrative personnel in our Business Office are responsible for scheduling appointments, billing and filing your insurance. We are extensively trained in the diagnosis and treatment of children’s diseases. We take pride in our staff and are confident that they will provide you and your family with the best and most professional care. 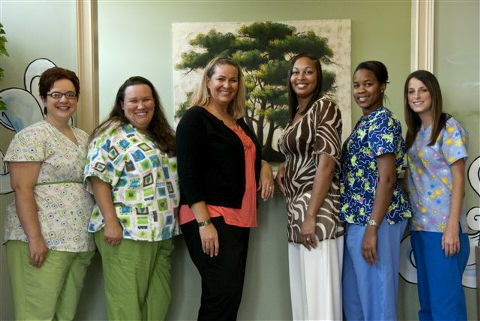 We look forward to seeing you in our office and providing friendly, quality healthcare for your children!